The Creighton Model FertilityCare System is perfect for young women and teenagers because it helps them to understand, appreciate, and protect their fertility. It helps young women identify underlying hormonal issues that can cause; irregular bleeding, irregular periods, painful periods, annovulatory cycles, premenstrual syndrome (PMS), recurrent cysts, ovarian cysts (PCOD), and endometriosis. The system works cooperatively with a young woman's body in a natural, healthy and holistic fashion to fix the underlying causes instead of shutting down her fertility with the birth control pill. Can the Creighton Model FertilityCare™ System (CrMS) help Teenagers? Too often the only treatment offered to teens with irregular periods, painful periods, Premenstrual Syndrome (PMS), or ovarian cysts is the birth control pill. However, the pill has many side effects and can only temporarily relieve symptoms, without treating the underlying condition and reason for the problem. In addition, the birth control pill causes unwanted side effects and additional serious health problems. The CrMS is very easy for teens to learn and use; it requires nothing more than a girl observing for certain biomarkers whenever she is normally using the bathroom. The signs of fertility and infertility that are observed in the CrMS provide extremely useful information for a teen client, allowing her to know the day of her next menstrual period within a range of a few days! 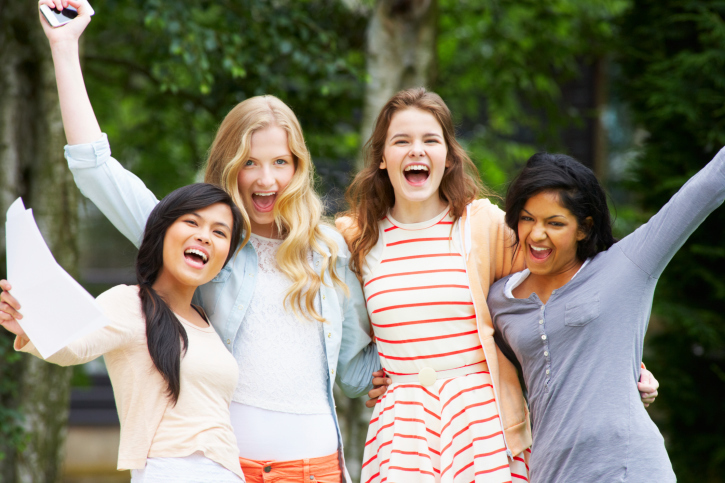 Knowing when her period will begin can give a teen considerable peace of mind, especially when planning school events, sport activities, or social outings. In addition, the charting allows the FertilityCare™ Practitioner to assess the biomarkers for signs that your daughter may need a referral to a NaProTECHNOLOGY® physician. For clients with Dysmenorrhea (painful periods) or heavy bleeding, NaPro treatment is very effective. We always encourage and promote chastity among our teen clients. All women discover that charting with the CrMS helps them to understand and appreciate their fertility and the incredible gift that is their womanhood. Mothers are always welcome and encouraged to attend Follow-up sessions with their daughters. Pope Paul VI Institute publishes newsletters for young women covering topics such as heavy bleeding, severe cramping, long and irregular periods, PMS, fetal development, Theology of the Body, relationships and much more. Each issue has a story of a featured saint. The newsletters are free and can be accessed from the Pope Paul VI website or by clicking here.